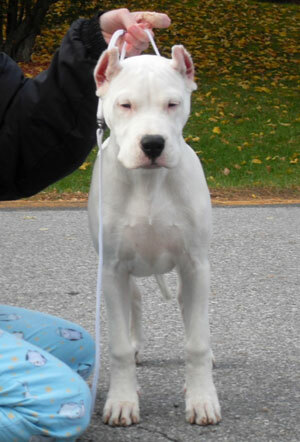 Several breeds have received a bad reputation as being “bully breeds”. This can be an emotional and controversial subject; it is even for me. For the first four years of Reggie’s life he lived at one house- no incidents. We moved and he was attacked while on a walk two significant times in 6 months. The neighborhood we moved to had a lot more dogs, a lot more opportunity for things to go wrong. What most people consider a pit bull is the American Staffordshire Terrier with docked ears and tail. There is no AKC breed designation of “pit bull.” The Staffordshire Terrier was bred in England in the late 1800s to bait bulls, and it was a cross between the Bulldog (not the modern day Bulldog) and a Terrier. 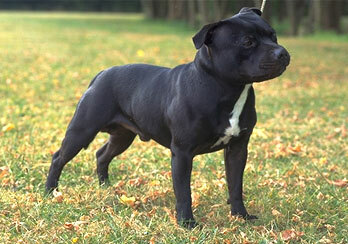 It became known by names as Bull-and-Terrier Dog and Pit Dog before becoming known as the Staffordshire Terrier. In the US, the breed is heavier and slightly taller and AKC recognizes the difference by calling it the American Staffordshire Terrier. 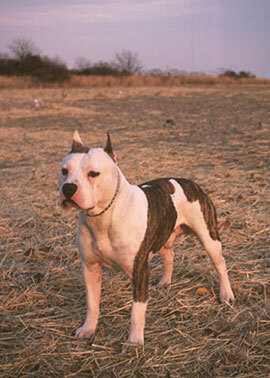 The Pit Bull dog (as it’s commonly known in the US) was a favorite dog well into the 1960s and 70s. What happened? There seems to have been a rise of dog fighting in the 80s, although “professional” dog fighting started in the 1950s. This group of individuals bred the dogs to be more aggressive and thus better fighters. Over 60 years of bloodlines, these dogs have been rescued and bred into society. Rottweilers are another “bully breed.” Originally a Roman cattle herding dog from a town called das Rote Wil, which means red tiled roof. This became Rottweil in southern Germany. 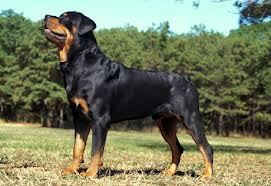 Because of the nature of the pedigree, Rottweilers are loyal, protective, and courageous. Over the years, unscrupulous breeders have bred dogs to be more aggressive (i.e., on purpose) and inexperienced breeders have bred dogs with undesirable qualities for the breed (i.e., anxiety). Since the resurgence of the breed in the 1930s, that means there has been years of generations of dogs inbred or improperly bred. 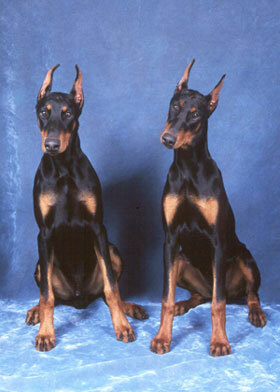 The Doberman is an example of responsible breeding. The history of the pedigree is a police dog, a war dog. A fierce and loyal protector to its owner, but can be aggressive to strangers. Modern breeders have primarily “bred out” this tendency but there are still bloodlines that exist with this fierce doggy attitude. If you adopt a shelter dog that is perhaps a purebred (25% of shelter dogs are) or a mix, you don’t know what you are getting, a responsibly bred dog or purposely bred protector? Yes, you read that correctly. Breeding for temperament issues is a balancing act. Breeders are kind of playing God. You are selecting traits in the parent dogs that are deemed acceptable and choosing to breed more of that. Choosing to breed calmness into a hunting breed, which needs mental and physical activity, messes up the brain chemistry. This can lead to seizures and a disorder called Rage Syndrome (also called Sudden Onset Aggression or Avalanche Rage Syndrome). Rage Syndrome is a sudden flash of, well, rage where the dog flips like a switch and lashes out at the owner, another dog, anyone or anything with extreme aggression and then can snap out of it seemingly not realizing what has just happened- a neurological disorder. 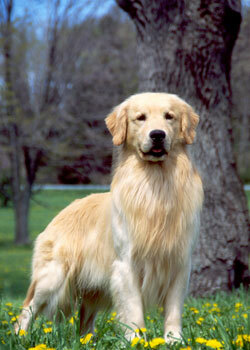 Although rare in and of itself, it is most common in red Cocker Spaniels and Golden Retrievers. We were walking on a nature trail behind a local park. I saw a woman with two Golden Retrievers, not on leash. I stopped and waited, Reggie sat (good boy). She saw me, picked up the leashes and we continued forward. At the moment her dogs saw us, it was like they snapped. They broke free from her grip and charged us. They surrounded Reggie biting at his side. I kept putting myself between him and the dogs, which was hard because there was two of them- one would circle behind every time I moved Reggie out of harm’s way. The woman did catch up and grabbed both her dogs, apologized, and asked if we were hurt. Thankfully we weren’t and we left. Two years later I wonder if those Goldens had Rage Syndrome. A severe incident happened four months after that. It was summer and we were walking through the neighborhood, our normal route. We walked past this house and a dog ran out from the backyard to where we were on the sidewalk and immediately started lunging at Reggie’s side. To put this in context, the house was on my left, Reggie my right (street side). There was a car in the driveway and there was no indicator such as barking or growling, and obviously no visual because we were approaching from the car side; the dog came from the back and across the lawn, across me and right to Reggie. I immediately did what I had done previously and put myself between the dog and moved from the sidewalk to grass area between sidewalk and road, thinking perhaps it was a territorial thing. The dog pursued, angling for Reggie. I started shouting “NO”. At this point we had stepped off the curb into the street and the dog had started aggressively going after Reggie, his side and moving up towards his neck. At that point I started to lose my cool a little bit. I remember looking down at this dog and the image of this dog lunging at Reggie in the middle of the street, no one around, the owner apparently not hearing me yelling “NO”, and realizing that this dog looked like a Pit Bull/Rottweiler mix. Even if it wasn’t, the body size, muscle, head, muzzle, everything, grossly outweighed and outsized Reggie and it wouldn’t even be a contest if I lost control of this situation. That image is forever burned in my brain. At that moment, I screamed “NO” and shoved the dog in the side and pulled Reggie behind me. I think it shocked the dog enough that it momentarily stopped its pursuit. Didn’t matter to me, I started walking away across the street as calmly as I could. I looked back and the dog was standing in the middle of the street watching us. There was a man a couple houses down watering his lawn and I handed him Reggie and started walking back to the house (I couldn’t leave that dog free in the neighborhood). I knocked on the door and (to my shock really) the owner answered. Just as he opened the door I turned around and saw the dog starting to walk towards the man and Reggie. I started running off of the porch, shouting at the owner that his dog was out and attacked my dog. He called his dog back (who answered his call) and he took his dog in. Reggie was miraculously unharmed, but badly shaken. We were only a couple blocks from home, and I admit once we got home I lost it. I filed a police report the next day. So what’s the point by me retelling these stories? Reggie doesn’t hate Pit Bulls or Rottweilers. Dogs are incredibly resilient. But I will not walk past that house again. I feel bad for that dog. Because I believe that almost every dog can be saved, rehabilitated. It’s the dog owners problem, or perhaps it has started with the inexperienced or unscrupulous dog breeder. Those owners obviously have an issue with that dog. Because I know, with more experience myself, that the fact that there was no growling, no barking, was a very dangerous sign. A territorial dog will bark from anxiety, from warning, but a dog that is going to strike makes no noise, has tense muscles, and a forward stance. Someone at that house probably left the gate open and anyone walking by could have been a victim; someone with a child or an elderly person with a small dog. The outcome likely would have been very different. Because of these unfortunate real life situations, many communities (Michigan cities with restrictions/bans) have enacted bans or restrictions on so-called dangerous breeds. Once a dog is labeled it can be very hard to remove that label. There are cities that consider the Canine Good Citizen (CGC) and American Temperament Testing Society (ATTS) certifications as part of the ownership requirements of “dangerous” breeds. The CGC test combines a variety of evaluations that include both interactions with humans and dogs. The ATTS evaluations, while breed-centric do test mixed breed dogs, do not test interactions with dogs. They also evaluate the dog’s reaction (temperament) to things like gunshot noise, environment (rough terrain), and unpleasant strangers. Failure of any one test section is failure. Reggie would fail the ATTS evaluation. He is absolutely terrified of fireworks, gunshots, even the loud crackle of a fire. If something disastrous ever happened and Reggie bit someone, or someone’s dog, and I found myself in front of a judge how would I defend this sweet harmless dog? It’s a tricky situation. The fact is that dog bites of dogs that are generally considered the more “temperamental” aren’t reported. Would you rather be bit by a Pit Bull or a Dachshund? The so-called dangerous breeds consistently rate higher according to the ATTS charts, and many other common dogs rate much lower. You don’t hear about dog bites from a Shih Tzu because they’re small and cute and they do way less damage than a Doberman. 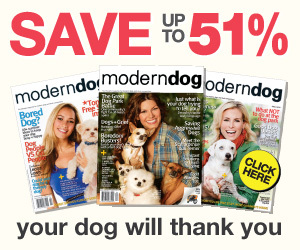 Schnauzer, Shih Tzu, Tibetan Mastiff, Chihuahua, and Shar-Pei are some of the lowest rated common breeds. 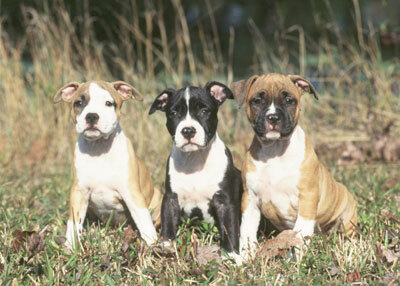 American Staffordshire Terrier, Staffordshire Terrier, Doberman, Rottweiler, and Golden Retriever all rate higher than these breeds. Here’s another test: which one of these dogs is a pit bull? None of them. 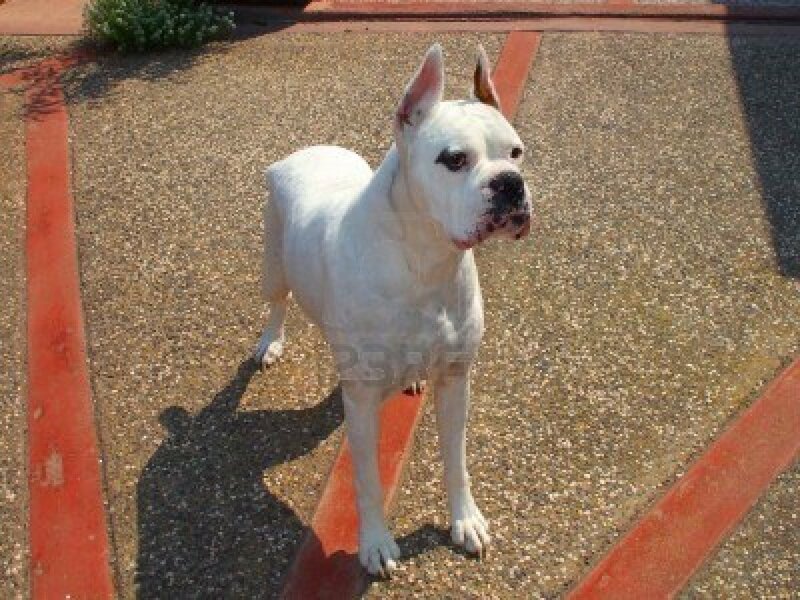 Dog A is a white Boxer, Dog B is a Cane Corso, and Dog C is a Dogo Argentino. Which of these dogs is a Pit Bull? Again, none of them. 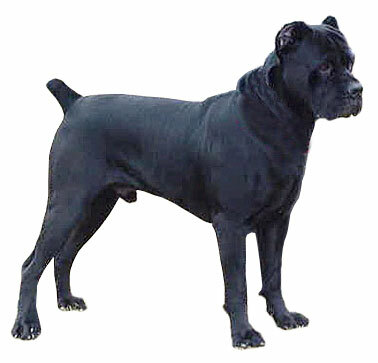 Dog A is a Staffordshire Terrier, Dog B is an American Staffordshire Terrier, and Dog C are American Staffordshire puppies. 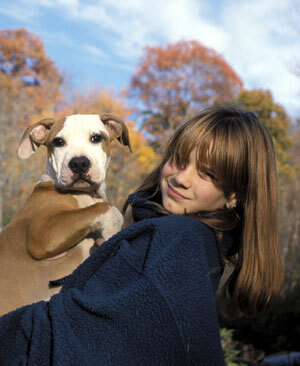 Dogs B and C are commonly referred to as Pit Bulls, as discussed above. Is it what you what thought? Did you guess right? I have had people tell me they thought Reggie was Labrador, Greyhound, Border Collie, Shepherd, Doberman, and one woman even thought he was Afghan Hound. The point is this: the good people at government shelters and rescues, while well meaning and with big hearts, often have no veterinary training and could no more label the breed of dog than you or I. Many dogs are likely mis-labeled, and labeled dangerous unnecessarily. On the other end of the spectrum, dogs with true neurological disorders (albeit rare) that are more likely seen in Spaniels and Retrievers are not labeled. And dogs of all kinds are euthanized that with a little specific and appropriate effort could be in a forever home. I labeled the dog that attacked Reggie a Pit/Rott mix because it was taller than Reggie, had black and tan short hair, was lean and muscular, its head was huge, so huge, and it had the bulldog-y front end like a pit bull. But who knows? I was making a rash decision based on fear, media, and limited breed knowledge. It’s time to focus on the animal not the name. The breed is an indicator of many things, just like the fact that you are a woman or a man is an indicator of many things- but not a definite. I would like to see funding in county shelters for breed DNA testing. It can be included in the adoption fees. Then the dog is appropriately labeled and adopters know important information for potential breed specific health concerns, activity, training styles, etc. It would be a good start from people just arbitrarily labeling any dog that looks like any of the above a Pit Bull, or any black and tan a Rottweiler or Doberman. Maybe this would start changing the public mindset of “bully breeds” and increase adoptions, and decrease the interest in dog fighting and unscrupulous breeding. It’s a sensitive topic, but one that deserves continued conversation for the betterment of our animals. ← Does my dog love me?